There are certain films that you know a lot about before you see them. I tend to find that it is not a great thing; I often wonder if I would have liked Dirty Dancing, Labyrinth or some other ‘classics’ of my youth had I seen them before hearing how much friends loved them. 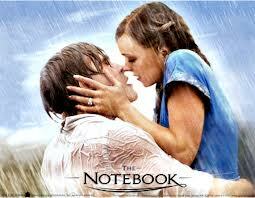 Then, there’s something like The Notebook. What I knew about the Notebook before I saw it was that it was the film that made a million women fall in love with Ryan Gosling; and that if a guy wanted to seduce a women, cooking her dinner and watching this film was the way to go. I knew it was a romance; but that was about it. The Notebook has an elderly man visiting a woman suffering from dementia in a nursing home and reading a story; the story of Noah and Allie, a young couple who fall in love one summer when they are young, but are forced apart. There are supposed twists, but it was fairly predictable. The romance itself, and the lovers kept separate; that wasn’t a bad little story. Jessica McAdams and Ryan Gosling are great as the young couple, but the performance of the film for me comes from Joan Allen as Allie’s mother. Perhaps it’s just my love for the 1998 film, Pleasantville, where she plays the repressed housewife who discovers love. Then, in this, she is the dictatorial mother who refuses to let her daughter follow her own path. I was totally surprised to find that this was not the worst film that I’ve ever seen (although, thanks to The Butterfly Effect, no film will be the worst film I’ve ever seen). The music is far too over-the-top and dominating, but I guess that is true to the genre. I doubt I’ll bother to watch it again, but I don’t regret watching it.